If you have two identical big text files and you want to find the difference between the two, or if you are a programmer you want to check the difference of a modified file with its previous version, you probably annoyed by comparing the two files to find the changes. If the file is too small and if you have a big screen then we can check it by placing side by side or you can take a print out of it and compare it manually. If the file that you need to compare it is too big or having too many files to compare things become more complicated. You need a better solution to compare the text files. Here we are discussing some cool tools which help you to do this task easily. 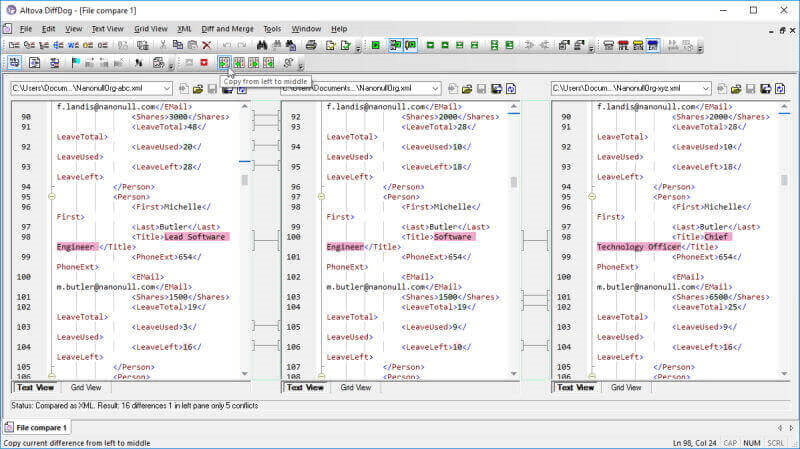 WinMerge is an Open Source differencing and merging tool for Windows. Winmerge is software that allows you to compare two text files side by side. It will automatically scan a document for any differences and will highlight any of those differences. It also makes it easy to copy over changes from one document to another. 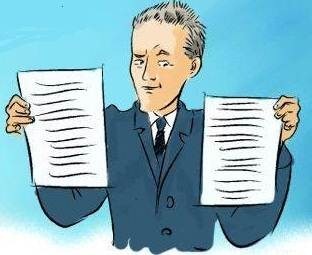 WinMerge can compare both folders and files, presenting differences in a visual text format that is easy to understand and handle. This is a freeware downloadable Windows tool for visual file comparison. It is quick and very simple to use and has a number of convenient features that many users have been asking for a long time from a file comparison tool. 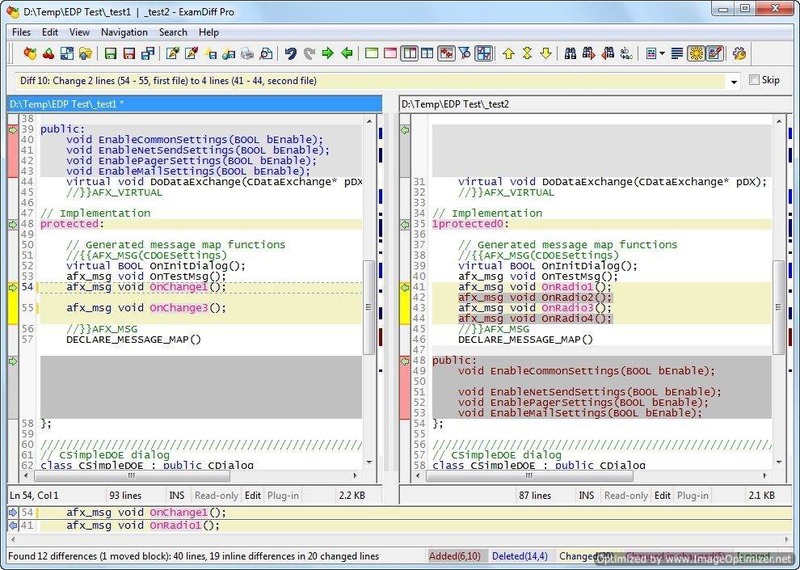 ExamDiff is a part of a suite of products that includes FtpVC, an FTP-based version control system that allows joint software development remotely over the Internet. This tool can compare directories and binary files. A pro version with more feature is also available. Windiff is a text comparison utility that graphically compares the contents of two ASCII files, or the contents of two folders that contain ASCII files, to verify whether they are the same. The file byte count and the creation date are not reliable indications. You can read the complete instruction about its usage from here. Beyond Compare is an efficient tool to quickly compare your files and folders. By using simple commands you can focus on the differences you’re interested in and ignore those you’re not. You can then merge the changes, synchronize your files, and generate reports for your records. You can compare entire drives and folders at high speed, checking just sizes and modified times. Thoroughly verify every file with byte-by-byte comparisons. FTP sites and zip files are integrated seamlessly, so you can update your website with the touch of a button. Text files can be viewed and edited with syntax highlighting and comparison rules tweaked specifically for documents, source code, and HTML. This tool can be downloaded as standard or pro edition. Here is a look at folder comparison feature. Altova DiffDog is a compare and merges tool. One can use it for diff or merge files, directories, and database schemas and tables. This easy diff merge tool lets you quickly compare and merge text or source code files, synchronize directories, and compare database schemas and the contents of database tables via its straightforward visual interface. It also provides advanced XML-aware differencing and editing capabilities. This software offers a solution for users who want to find differences between two text files. When comparing, the software can look at entire lines or individual words that are separated by spaces. Found differences are either highlighted in context or isolated and listed. By instantly comparing large amounts of data, this software will save you hours of time having to look for differences by eye. Comparemyfiles is an online tool to compare one file to another. The tool will show you a visual representation of the file and highlight the differences. for that you have to select two files (File1 & File2) and in the option give ‘compare line by line’ (default) and click ‘compare files’ button. If you want to see only the differences select the tick box ‘Only show differences’. You can also ‘skip blank lines’ by selecting it in options. You can do it with the Google Docs. Here is a small trick to do it. First, create a new document in Google Docs and paste the contents of the first text file into this document and save it. Then open your second text file in notepad and copy its content to the clipboard. Now open the Google Document created above and overwrite everything with content from the clipboard and again save it. Now go to the Revision tab of Google Docs, select the two file versions and click “Compare Checked”. The differences is highlighted. Text compare is a tool to compare two text files. You can copy and paste texts on the panels and press the ‘compare’ button. The texts compare and the differences are highlighted and displayed just above the compare button. 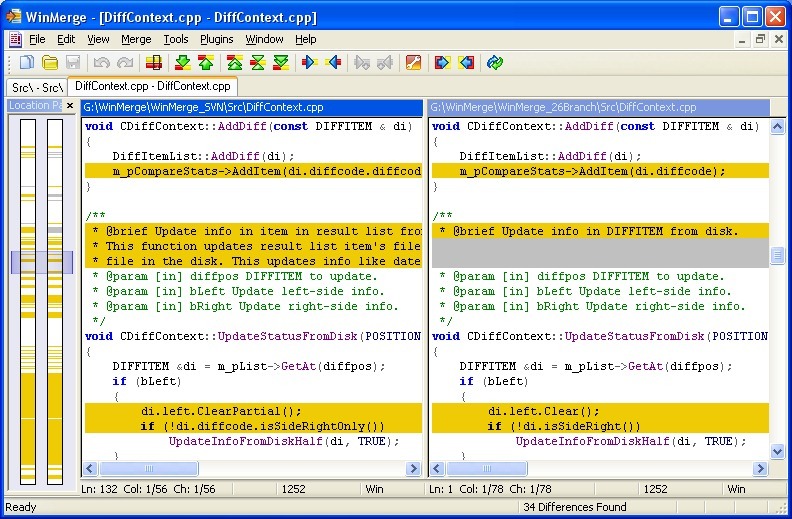 Diff Checker is an online diff tool to compare text differences between two text files. To find the differences just enter the contents of two files and click ‘Find Difference!’. The best part is you can store the difference for 1 hr, 1 day, 1 month or forever. Diffnow (https://www.diffnow.com) is also a file comparison tool using examdiff pro plugin library. You can find similar tools using a search engine. How Do The Popular Websites Make Money?